SM Entertainment Launching New SM Family Program "Food Diary"
Although SM has not revealed anything about the show’s concept, t it is already garnering considerable attention due to the participants. Particularly, the combined forces of Lee Soo Geun, Seo Jang-hoon, and Park Sung Kwang, who are renowned MCs and comedians. Further, in addition to NCT member Taeyong, there is talk that other idol members might join the line-up. Whether these idols will be from NCT or another group under SM Entertainment has not been determined. However, there will probably be multiple appearances from the entertainment label’s groups throughout the show’s run. 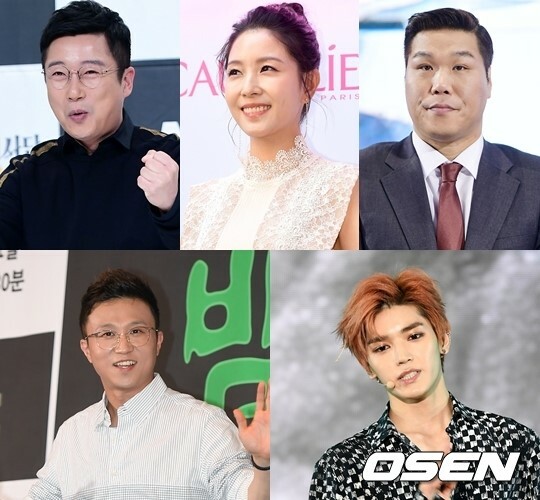 “Food Diary” is produced by SM C&C and the company is currently discussing with tVN concerning a broadcast schedule.